In 2017, 165 craft brewers closed down. Experts said that while the rate of closures is higher than in previous years, the industry is still seeing growth. Inside the chilled storage room at the 22nd largest craft brewery in the country — Odell Brewing Company in Fort Collins, Colorado — brewer and agronomist Scott Dorsch pulled down a large box with the words “whole leaf hops” printed on the front. He ripped open the silver packaging to reveal a mound of flattened, dried green hops, crisp and airy like dried leaves. Of the estimated $25,000 worth of hops in the room, none were from Colorado. That’s because a large company like Odell requires a more reliable source. When they have bought local hops in past, it’s only to make a seasonal, limited-distribution beer. “We would buy more hops than what Colorado could produce,” he said. 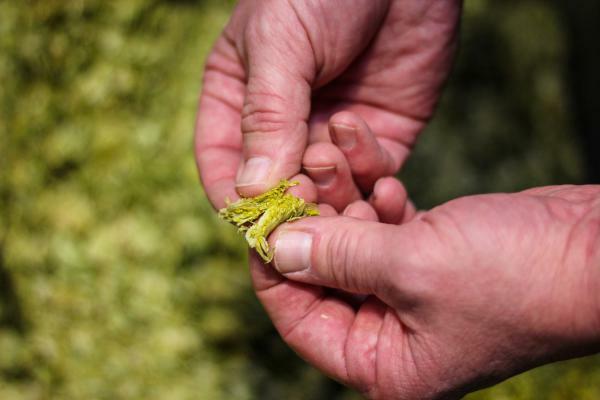 Harvest Public Media's Esther Honig explains why a Coors company has a major hand in Colorado's specialty hops market. Hops may not have panned out to be the major crop that some farmers had bet on. And Dorsch said the green rush all began with one well-known company. With the largest single brewery facility in the world, the Coors Brewing Company operates out of Golden, Colorado. A company they own, called AC Golden, wanted to jumpstart the local hop industry for their beer, “Colorado Native,” which uses only local ingredients. Starting in 2010, AC Golden officials said they paid farmers a premium price for their crop in an effort to help get them established. Farmers reported being paid up to $15 a pound, far above the going market price at the time of around $4. There’s a high startup cost to growing hops. The vines require trellises, which cost anywhere from $10,000 to $20,000 an acre to install. Ron Yovich, was one of about a dozen farmers growing hops for Coors. Like most, he was a small first-time farmer and that premium price allowed him to purchase expensive harvesting equipment from Europe. “At that point, (Coors) had a significant role in basically keeping us afloat for the first few years,” he said. The premium price allowed Yovich, as well as other farmers interviewed for this story, to make a return on the investments. But it wouldn’t last. Between 2010 and 2015, the market for craft beer was booming (see graphic below). In 2016, it started slowing down as wine and spirits took a larger share of the market, according to Bart Watson, an economist with the Brewers Association, a national trade association. He said while the craft beer market is still growing, it’s just less so because consumers have far more options. “There’s a lot of competitiveness out there. It’s hard to get on, in shelvesets and get tap handles,” he said. This is in part, he said, why the hop industry in Colorado still hasn’t reached the scale that Coors and some farmers had bet on. “We may see the hop industry scale back in places like Colorado simply because they were building for a future that was bigger than what we’ve actually seen,” he said. 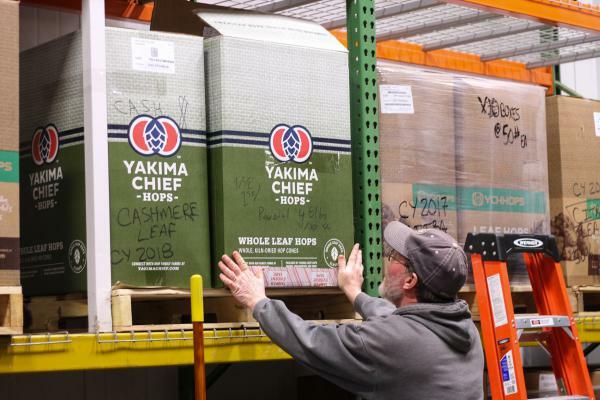 The Pacific Northwest is the nation’s major supplier of hops, especially Washington’s Yakima Valley, which produces more than 39,000 aces, or 71 percent of the nation’s hops. Idaho and Oregon are the next largest and together three these states pushed the U.S. to its biggest-ever hop harvest in 2018. Colorado’s crop acreage is 7th in the country, and hasn’t grown since 2016. And small hop industries in Indiana, Illinois, Nebraska and Iowa have seen little to no growth in the last few years. Only Michigan and New York have remained competitive at a time when experts say the specialty hops market is saturated. Demand for local hops may lie with microbreweries, which are still doing well despite the outlook for the rest of the craft beer market. That’s where Yovich has placed his bets. He no longer grows for Coors, nor does he have to worry about finding a reliable buyer. 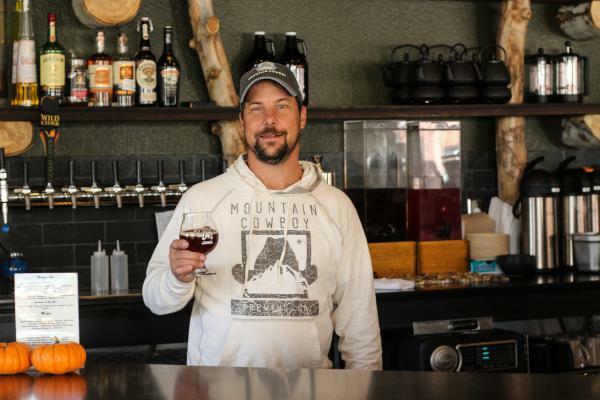 Instead, he and his wife opened Mountain Cowboy Brewing Company in Frederick, Colorado, and most of his crop is used to make his beer. “You know the old adage, don’t put all your eggs in one basket, [that’s] the way it is,” he said. Other hop farmers have left the industry altogether. Mark Riley owns several acres and grew for Coors starting in 2012, but says this year the company lowered their price to about $5.50 a pound. He said he could have kept things going, but the drop in price — along with the cost of labor and arrival of powdery mildew on his plants — told him it was time to throw in the towel. “You know when you tell people, oh, you’ve lost your price, they’re like ‘Oh, that huge corporation, screwing the little guy,’ and that’s not how it was,” he said. He says from the Coors communicated from the beginning that the high prices wouldn’t last. The idea was that growers would eventually find more buyers elsewhere. “We were trying to sell to other brewers around the state, you know we thought a lot more might be interested in a Colorado product,” he said. For their part, AC Golden officials said they had to strike a balance between supporting farmers and being financially solvent. By their estimates, they overpaid farmers by about $3 million over the course of eight years, which they consider an investment in the local industry. Other farmers who were interviewed are still growing and selling to Coors. Riley’s ripped up his hop plants and moved on to something else that many farmers are hoping will become the next big crop in Colorado — and maybe across the United States: industrial hemp. 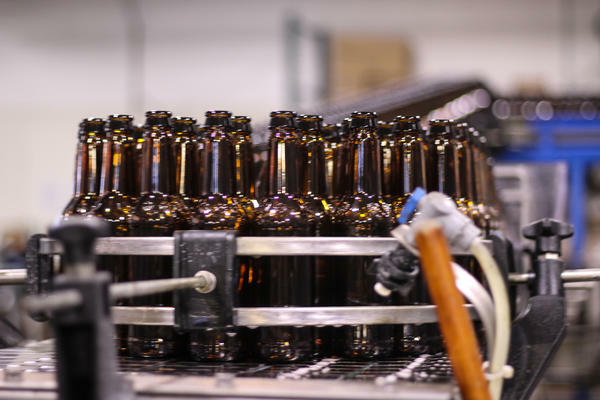 Coloradans love locally brewed craft beer and it appears the rest of the country does, too.